Rugged outdoor speakers create a wide listening area for fuller stereo sound by the pool, porch�even on boats. 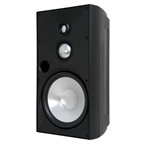 Enhanced styling blends easily into the design of your home for unobtrusive listening. Mounting brackets included. Speaker performance delivers fuller, more consistent sound coverage instead of one small "sweet spot"
Our best-performing landscape speakers deliver stereo performance over a wide listening area. 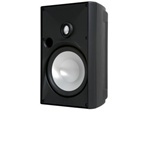 An excellent choice if you prefer not to mount speakers to your home. Guaranteed to withstand severe weather. The Outdoor Element OE5 DT features ported enclosures to dramatically enhance low frequency response, while midrange and high frequencies are produced using advanced cone drivers. The Outdoor Element OE5 One features ported enclosures to dramatically enhance low frequency response, while midrange and high frequencies are produced using advanced cone drivers. The Outdoor Element OE5 Three features ported enclosures to dramatically enhance low frequency response, while midrange and high frequencies are produced using advanced cone drivers. 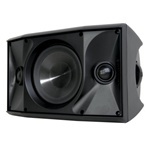 The Outdoor Element OE6 DT features ported enclosures to dramatically enhance low frequency response, while midrange and high frequencies are produced using advanced cone drivers. 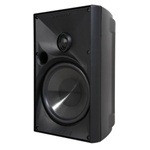 The Outdoor Element OE6 One features ported enclosures to dramatically enhance low frequency response, while midrange and high frequencies are produced using advanced cone drivers. The Outdoor Element OE6 Three features ported enclosures to dramatically enhance low frequency response, while midrange and high frequencies are produced using advanced cone drivers. The Outdoor Element OE8 Three features ported enclosures to dramatically enhance low frequency response, while midrange and high frequencies are produced using advanced cone drivers. The OG Series speakers have been designed to provide excellent performance in all types of outdoor environments. Driven directly into the soil with a ground spike, these speakers can be placed almost anywhere and pointed toward the listening area. The Ruckus Series feature a durable enclosure that will withstand rain, snow, hot sun, and even swimming pool acids. The two-way coaxial woofers are made from a special weatherproof nylon frame that prevents the magnet rusting. 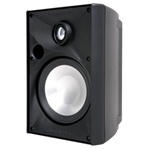 NS-AW350 High Performance Outdoor 2-Way Speakers. 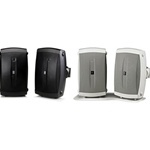 All Weather Speaker System with Wide Frequency Response.